If Brazil's president is to fend off right-wing pro-impeachment protests, she must commit to the movements on the left that guaranteed her reelection. In recent weeks, the mainstream media has forwarded a narrative that the political crisis in Brazil is a result of internal corruption and the lack of economic growth over the last year, which is blamed on the Workers’ Party. The corruption charges have been fueled by an investigation — known as Lava Jato, or Car Wash — in which a number of directors of the state-owned oil company Petrobras are accused of taking bribes from construction companies and funneling funds to parties of the ruling coalition. What is rarely mentioned though, is that Brazil is experiencing, once again, a historical divide. Part of the population wants to turn left and another right. The complex situation is much more ideological than most commentators acknowledge. Some believe President Dilma Rousseff and the Workers’ Party haven’t been following the dictates of neoliberalism closely enough, while others argue the opposite — that corporations have far too much power. The latest Brazilian presidential elections took place on October 2014. President Rousseff was re-elected in a second-round runoff against her contender Aécio Neves — leader of PSDB, the party of former President Fernando Henrique Cardoso. It originated as a social democratic left-leaning party, but grew to be one of the main representatives of the bank lobby and Washington Consensus-like policies in the country. The election was a narrow victory for Rousseff, and some argue that she would not have been re-elected if social movements on the left had not turned out to support her at the last minute — as they did — when faced with the possibility of having neoliberals back in charge. 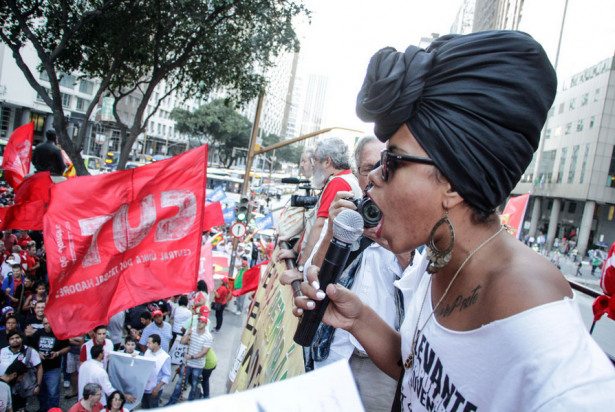 While social movements were successful in helping to re-elect President Rousseff, the results of the congressional elections were a disaster for those fighting for social justice. Brazil elected the most conservative pro-corporate Congress since the end of the military dictatorship in the early 1980s. In its first six months the ultra-conservative lower house has voted against ending corporate funding in political campaigns, and in favor of increasing outsourcing, lowering the criminal age from 18 to 16 years-old, and finally, on August 12, an anti-terrorism law that opens the road to the further criminalization of social movements. And they are not finished: Two bills that social movements struggled for years to get passed — regarding net neutrality and limiting the sale and use of firearms by civilians — are next in line for review in the legislature. The situation is not simple. If the Workers’ Party governments have been responsible for major progress related to social justice since former President Luiz Inacio Lula da Silva’s first mandate started in 2002, they have also followed neoliberal prescriptions on economic and financial matters. Social movements are not particularly pleased that corporate profits are skyrocketing while many people still struggle for food, basic education, housing, transportation and health. In addition, conflicts over land, which disproportionately victimize the most vulnerable — poor, black and indigenous populations — both in rural and urban areas are intensifying. 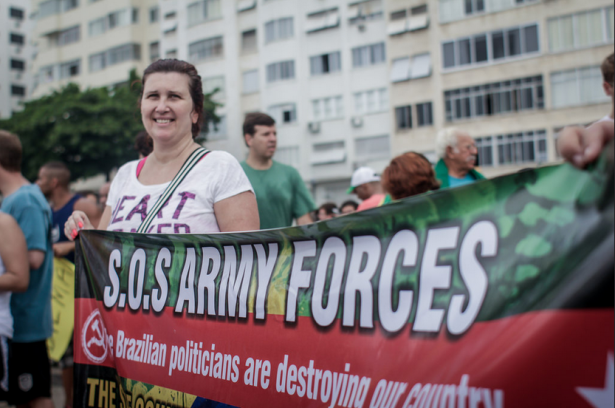 There are plenty of reasons for Brazilians to be discontent with the current state of affairs. Both right-leaning and left-leaning groups have taken their claims to the streets. The left in Brazil — as in most parts of the world — is diverse, fragmented and, more often than not, in disagreement on tactics and strategies. Organized social movements — including unions, students and the landless and homeless workers — have been protesting non-stop since June 2013, when the free transportation protests led millions to the streets. These predominantly red-colored marches draw less attention from the mainstream media. Although not necessarily pro-government, they are certainly against the impeachment process being called for by the conservative and corporate-friendly opposition. Despite not always agreeing on how to position themselves in relation to the president or the ruling coalition, movements tend to agree on matters of social justice, the need for a better wealth distribution, agrarian reform, demilitarization of the police, democratization of the media, and ending corporate financing of political campaigns — which would arguably turn the country more to the left. Needless to say, private owned banks and most multinational corporations are not supportive of such a turn. On the other side, the pro-impeachment protests, which often call for the return of military rule, have drawn attention for their nationalistic use of the colors of Brazil’s green and yellow flag and how its militants wear the national soccer team’s T-shirts. These events have been led by right-wing ultra-conservative groups, although there are anti-government groups that would not fit this description. The protests seem to be a response to the growth of left-leaning social movements in the streets and policies that directly target those most in need. 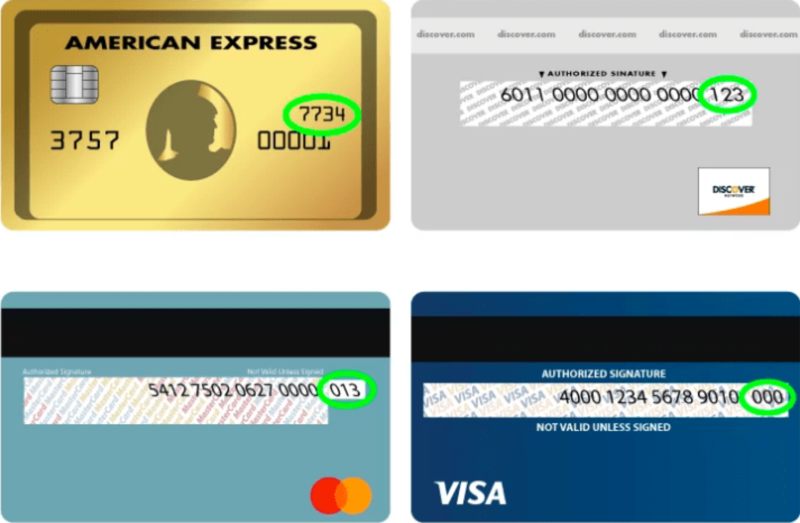 If the numbers and frequency of the actions are carefully analyzed, it is difficult to say whether the red protests are smaller or larger than their green and yellow counterparts. In terms of the socio-economic profile of participants, those at the anti-government protests are predominantly white, and middle or upper-middle class, while the anti-impeachment and pro-social justice protests tend to be predominantly working class, with many black, mixed race and indigenous participants. Perhaps coincidentally, the protests seem to be echoing the tight results of the last national elections. Some of the key points disputed in the elections are once again being debated. What the national and international mainstream coverage has failed to acknowledge is that the pro-impeachment marches too often resemble pro-fascist, dictatorial demonstrations in how often they praise racist, misogynist, aggressive speeches. The number of people calling for a military coup is downplayed even though the most prominent groups leading these marches openly defend such an approach. Some of them have liaised closely with the National Rifle Association in the United States in their crusade to increase militarization and the use of firearms among civilians in Brazil. Brazil has been recognized internationally for its conditional cash transfer program — the Workers’ Party main accomplishment since 2002 — which has taken over 20 million people out of extreme poverty since its inception. Regardless of this fact, there is a widespread view among the middle and upper-middle classes that the program is a populist attempt to guarantee that the Workers’ Party stays in power. 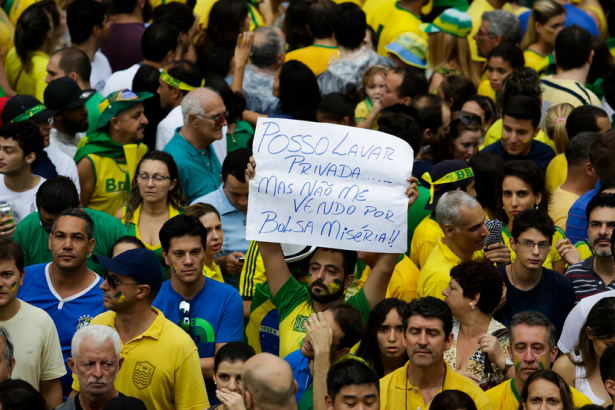 For the most conservative sectors of society, who have found a space to voice their concerns in the green and yellow marches, the Workers’ Party destroyed the country by giving easy money to the lazy poor and flooded Brazil with corruption, as some of the signs at their marches illustrate. They also often argue that “good criminals are the ones who are dead” and that the number of police — who are shamefully known as some of the most violent in the world, responsible for thousands of killings every year — should be increased to protect “good citizens.” Signs warning against the “communist threat” can be regularly found at the pro-impeachment demonstrations. Other racist, misogynistic and fascist slogans are also repeatedly seen in the marches described by the Guardian as “good-humored” family events. The New York Times coverage of the same “carnivalesque” march acknowledged the violent speeches — that included a call for the president to “kill herself” and the return of military rule — but portrayed such speeches as the exception. 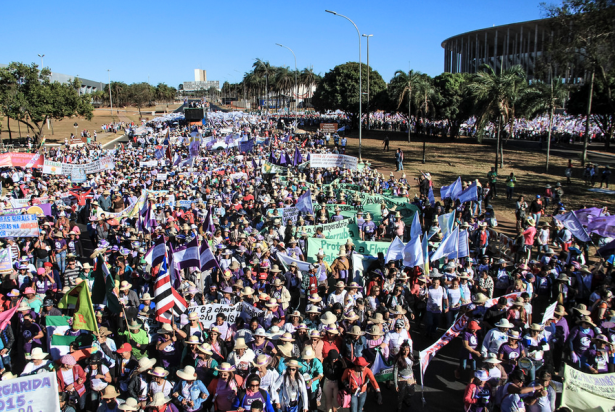 On August 13, a few days before the two most recent national demonstrations for and against impeachment, 100,000 peasant women with the National Coalition of the Agriculture Workers and 12 other partner movements organized their fifth annual demonstration in Brasília with no coverage in the mainstream media. During the event — called “Margarida’s march” as a tribute to Margarida Maria Alves, a former union activist murdered in 1983 by a land owner in the northern region of the country — social movements stated their support for President Rousseff and the Workers’ Party, while pushing for their own agenda. Human rights activists have been particularly scared of the conservative wave in the Congress, which — fueled by the weapons and private security lobbies — have been working hard to guarantee their agenda gets priority in the government. Social movements and activists have been searching constantly for more creative ways of engaging the population by building narratives that point to possible ways out of the current crisis, calling for a culture of solidarity and collective support. Arts and culture festivals have also been organized by social movements that have brought out tens of thousands in cities all over the country as well in recent weeks, with little or no coverage from the mainstream media in the country. The president of the National Students Coalition, or UNE, Carina Vitral, voiced the movements’ concern with the recently approved anti-terrorism law, that — among other things — legalizes incarcerating people for “blocking traffic” in the streets. Eleonice Sacramento, a representative of the National Coalition of Artisanal Fisherwomen spoke up for the protection of traditional communities, including indigenous groups, and their territories, knowledge and culture. They have been increasingly targeted by the agribusiness and mining industries, resulting in a significant increase in conflicts over land in northern Brazil. On August 20, as a response to the pro-impeachment protests, over two dozen social movements took to the streets again. The march organizers estimated that more than 100,000 people participated in demonstrations in a dozen cities. 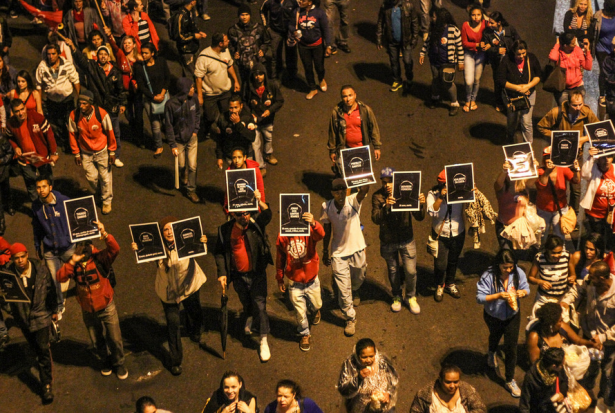 São Paulo saw the largest demonstration, with approximately 60,000 people in the streets. In contrast to the Margarida’s march the week before, these actions were not unified around the president. Even the UNE, which is often accused of blindly defending the Workers’ Party government, spoke out. “We came here to say that this government needs to be more connected to the people and we do not agree with the adjustments that resulted in cuts to the education budget,” Vitral noted in her speech during the protest. In addition to the larger movements that led these demonstrations, smaller community groups joined the marches. In São Paulo a group from Osasco staged a performance calling attention to persistent police violence, which left 18 people dead on August 13 in another massacre carried out by police officers on the outskirts of the state capital. Adriana Magalhães, press spokesperson for CUT in São Paulo, described the organizing of the demonstrations on August 20 as an exercise to find unity among groups with different perspectives in an interview with the recently created independent journalists network Jornalistas Livres. “What unites us is the idea that another economic policy is possible, one that does not negatively impact the workers, as do the adjustment policies proposed by Minister Levy,” she explained. Levy, who is the current finance minister, was the president of the second largest private bank in Brazil before he joined the government, and had been the target of social movements. While the claims of corruption coming from the Lava Jato investigation continue to dominate the mainstream media, it is unlikely that they will lead to the president’s impeachment given that 28 out of the 32 political parties in Brazil received funds from corporations accused of corruption in the case, including the main opposition parties on the right. The big question for the left at this point is how to unite around a democratic project that is oriented toward social justice and reasonable distribution of wealth in a country that is divided by prejudice, elitism and racism — in addition to facing systemic corruption fueled by private corporations’ interests. 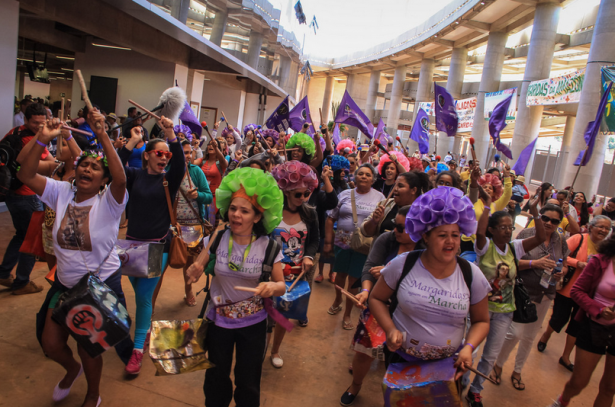 A National Peoples Conference, called by social movements, parties and independent activists from the left, will take place in Belo Horizonte on September 5. The conference is meant to be the national launching of a left front to build a positive agenda to counteract the right-wing movements, according to a press release announcing the event. The reality is that no one seems to have the answer. 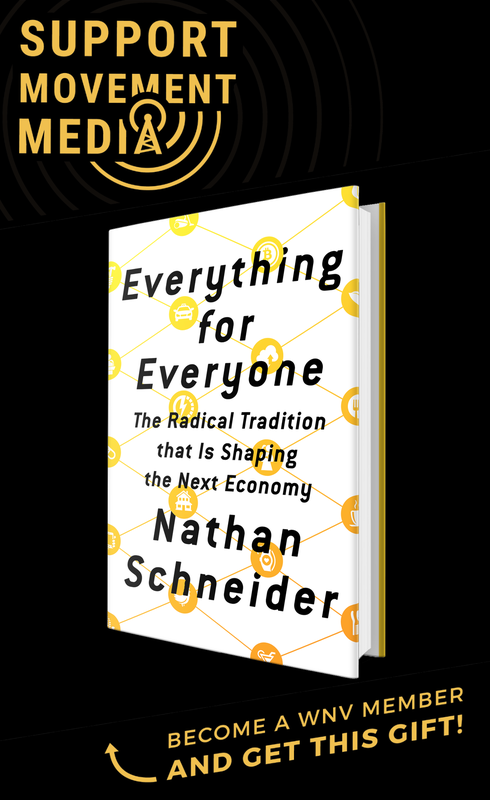 While artists, activists and other progressives keep searching for creative ways to solve the current puzzle, the quasi-schizophrenic nature of the current government coalition — which claims to govern for the less privileged, but continues to facilitate unprecedented profits for banks and other corporate powers — is not making this an easy task. As the world is witnessing, there are a lot of people in the streets in Brazil right now, but there is no unity around what they want. If Rousseff does not seriously commit to the left — which guaranteed her reelection — she will ultimately become more vulnerable to impeachment maneuvers in the most conservative Congress in Brazil’s recent history. A very informative and comprehensive report. Brazil is in a comprehensive crisis: Economic, political, social, national security independence, social. Brazil has a different demographic origin compared to the United State and Canada. Very few families from Europe migrated to Brazil. The “whites” from Europe were mostly men who produced children with native indigenous women or African women imported as slaves. The colonial power, Portugal did not impose much control. Thus a unique popular culture developed in Brazil without the civic spirit brought by European immigrant families to the USA, or imposed by the original English colonizers. Even 70% the 42% of Brazilians auto-classified as “white” have some descend from indigenous or African women (including some past Presidents). Brazilian never had national mobilizations, such as the wars that U.S. Americans or Europeans fought for their national purposes. As a result their is personalistic tendency among all Brazilians who are interested in opportunities for their family, but not interested in civic or national cohesion. This social-cultural reality now impedes a national unity to defend Brazil from destabilization operations by its traditional “adversaries” the USA and Britain who are using Wall Street, banks, NGOs (especially German “false leftist”), the “international media” including Brazil’s oligarchy-owned press and TV to crush the “independence” of Brazil, reduce national territorial control (GAIA plan) and expansion of NATO in to the South Pacific – South America- Africa (Plan “Cut the Atlantic-divide” ). Unfortunately the political corruption in Brazil and the worldwide downturn in basic commodities prices have contributed to the critical situation.